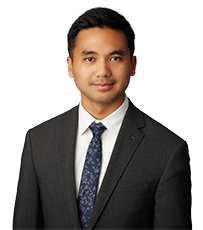 Ken joined Guild Yule in 2018 as an articling student. Ken earned his Juris Doctor at the Peter A. Allard School of Law at UBC, graduating in May of 2018. Before law school, Ken graduated with a Bachelor of Arts from Queen’s University in 2015 where he received a number of awards for academic achievement including the Medal in Philosophy for graduating with the highest academic standing in the department. During law school, Ken served as the Executive Director of the Law Students’ Legal Advice Program, where he also represented low-income individuals in the BC Human Rights Tribunal, Employment Standards Tribunal, Residential Tenancy Branch, and the BC Provincial Court on small claims and criminal matters. Ken also spent a semester with the Business Law Clinic where he provided legal services for small businesses. In his last year of law school, Ken received the John Herbert Frederic Stanton award from the Peter A. Allard School of Law for his work with the community. Outside of law, Ken enjoys hiking and is an avid badminton player.